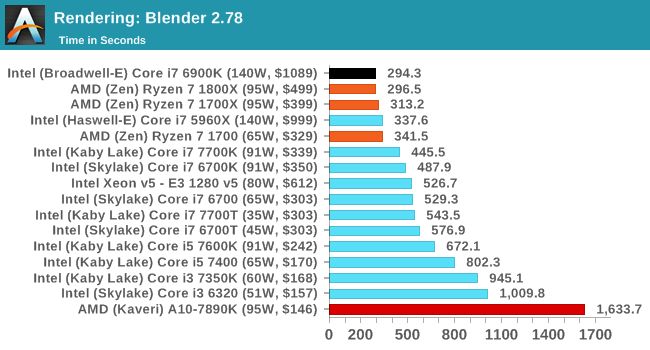 From my knowledge i know that in single core applications and tasks the i7-7700k will win with the decently faster speed, but how about the multi core tasks like encoding, rendering and compressing? 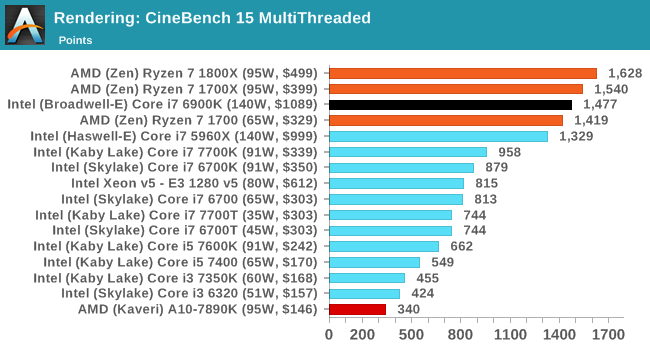 When using tasks and applications that are heavy CPU hogs they should scale across all the CPU cores and threads. 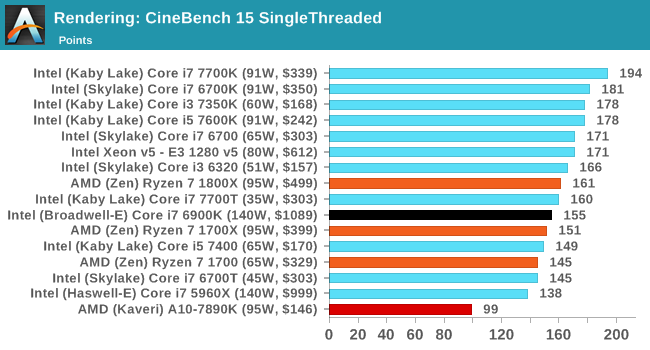 This is an issue where games are not utilizing all of the CPU resources even as the chip technology progresses. 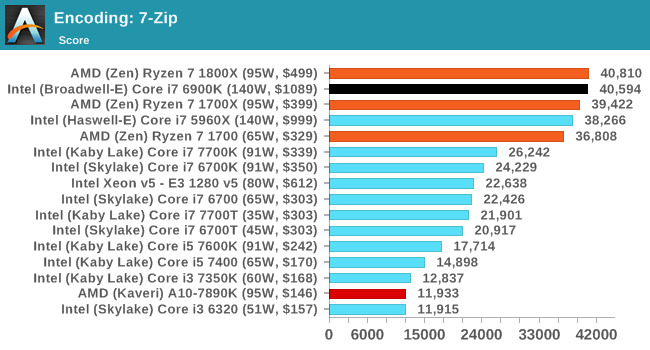 You can see that the 3 Ryzen offerings which have more cores/threads beat out Intels i7’s which have the quicker clock speed but lower cores and thread counts. 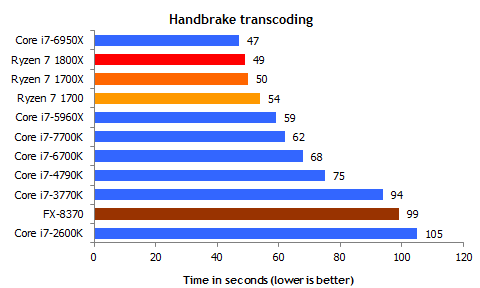 It is can seem quite obvious that more cores is better for media encoding and that is the case but what about other tasks? 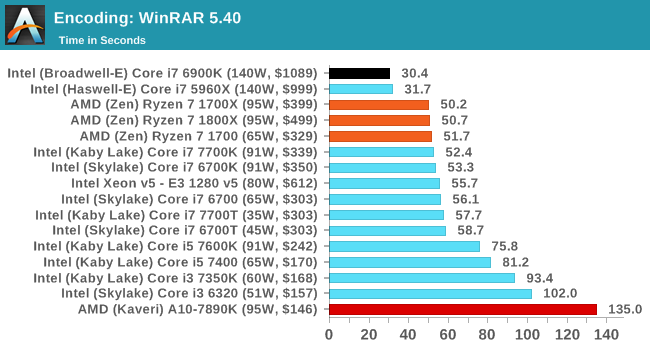 Both conclude to a certain level that more cores is better for packing files although as in the case of the WinRAR test it’s quite minor.